I was raised to be a science nerd (ah even the best-laid plans don’t always pan out). My dad taught high school chemistry and physics, so my childhood toys included chemistry sets, K’NEX, crystal growing kits, and a real set of test tubes from his school lab. I liked “experimenting” – whether that be melting crayons in the microwave (not advisable) or feeding my little sister glue just to see what would happen (also not advisable – sorry Sister2!). Anywho, I suppose you could say that my love of baking stems from that science background. Mix x,y, and z ingredients and you can pretty reliably expect a certain result. But what I love most about baking is the “experimenting” factor. I know that if I follow a recipe exactly it will probably turn out well, but I always can’t help but wonder – what if I switch out this for that? Or add this? Or maybe try this? Some of these experiments turn out poorly, because if you deviate too far from the baking science things can go horribly wrong. But sometimes kitchen magic happens and things turn out absolutely deliciously. 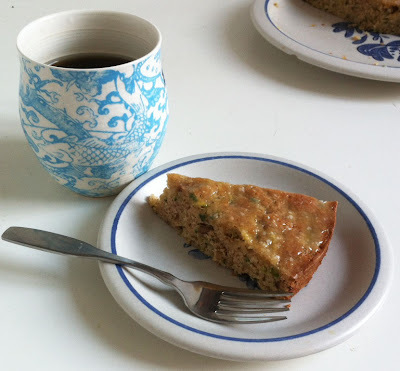 Case in point: this Zucchini Apricot Olive Oil Cake with Lemon Glaze. It sounds like a weird combination of potentially too many things, but trust me, it is absolutely perfect. 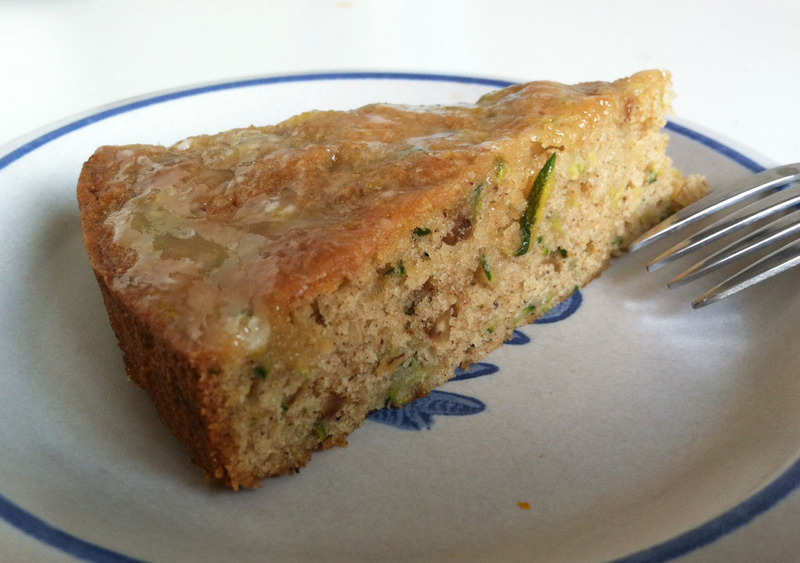 The cake is moist thanks to the zucchini (sidenote: there is no thesaurus alternative for “moist” when describing cake…at least none that I can find…so I’m sorry for that…please let me know if you can think of one! ), the apricots add a nice sweet tang to contrast with the toasted walnuts, and the lemon glaze – oh the lemon glaze! Please just make this so you can eat it ASAP. It is by far the best think I've baked in quite a while. 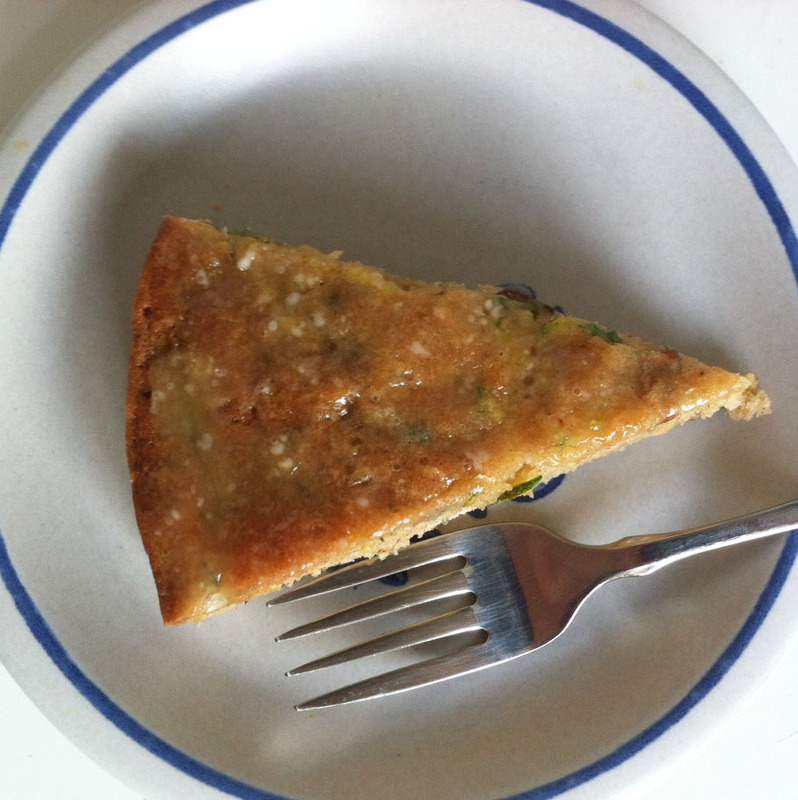 Preheat the oven to 350° F. Grease and flour one 9-inch round cake pan (or a loaf pan). Sift the flour, baking powder, baking soda, salt, and spices into a medium bowl and set aside. In an electric mixer fitted with the paddle attachment (or in a large bowl using a spoon! ), beat the eggs, sugar and olive oil, and water together on medium speed until light and fluffy, about 3 minutes, then beat in the vanilla extract. Beat in the dry ingredients all at once on low speed until they are thoroughly combined, then switch to medium speed and mix for 30 seconds. Mix in the zucchini, apricot, and walnuts on low speed until they are completely incorporated. Pour the batter into the prepared pan, smoothing the top with a spatula. Bake the cake for 25 to 30 minutes (40-45 if you’re using a loaf pan) or until a tester inserted in the cakes comes out clean and the cakes have begun to pull away from the sides of the pans. Allow the cake to cool in the pan for 10 minutes, then carefully invert it onto a wire rack. 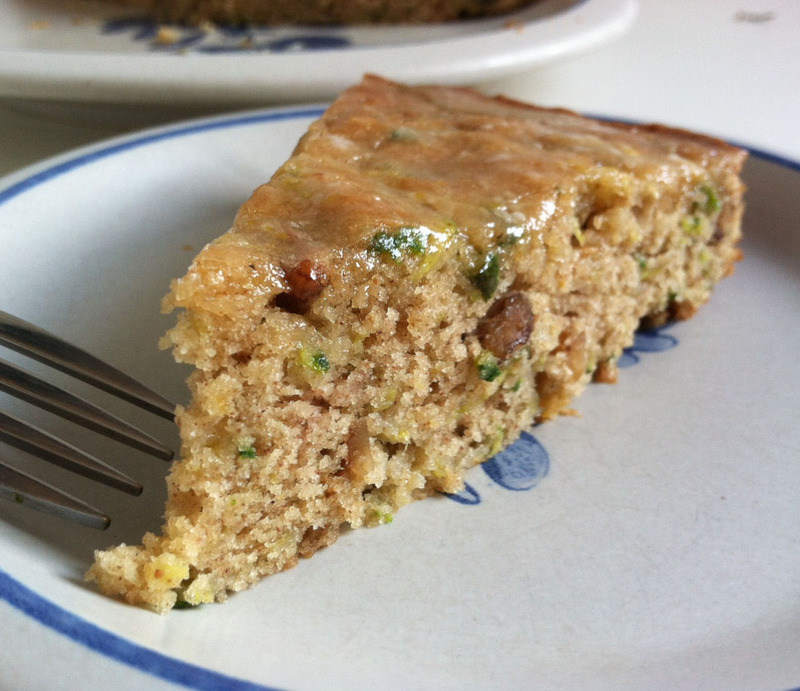 Immediately spoon the glaze over the entire surface of the warm cake, using all of the glaze; it will adhere to the cake and set as the cake cools. Allow the cake to cool completely and the glaze to dry.